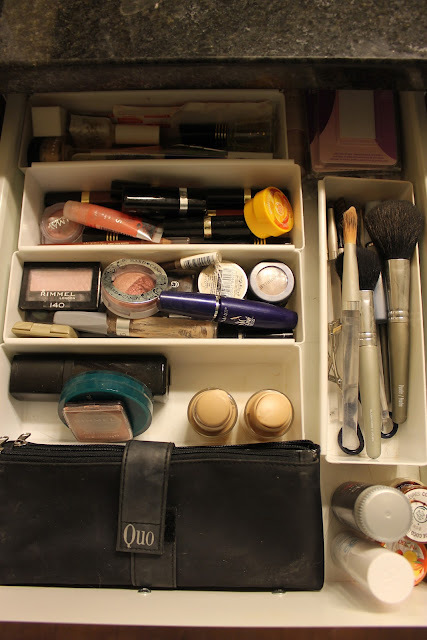 KM Decor: Organize It: Bathroom Cabinets! Welcome to Part 3 of "Organize It" week! So far, I've organized the kitchen fridge, and the laundry room. 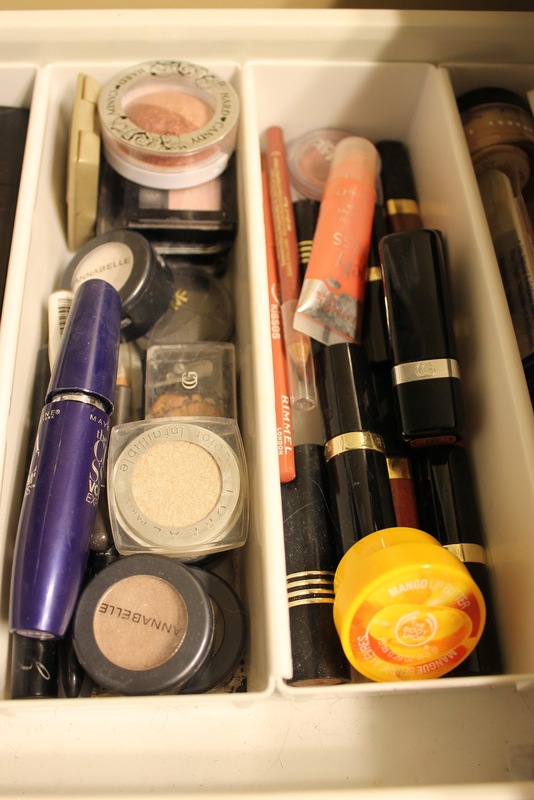 I don't know about you, but for me, my bathroom cabinets are usually in a bit of disarray. There are just too many products to contain in one little space, so the lack of organization tends to get out of hand quickly and often. Today, we're going to look at some storage solutions to keep all of that chaos under control. In our bathroom, we also have a bank of drawers. This is where I store my makeup, hair products, and smaller items that would get lost in the cabinet below the sink. So, to keep all that clutter under wraps, I used small storage containers to organize everything by use and product type. The other issue in this bathroom, was the bottom drawer that I used for all my hair products. I'm bad when it comes to hair products actually. I tend to buy one, try it out, and if I don't like it, I move onto the next, but I don't throw out the original product. So, I end up with a collection of different products that for the most part, I don't use. After weeding through my collection, I was left with this... nice and organized! 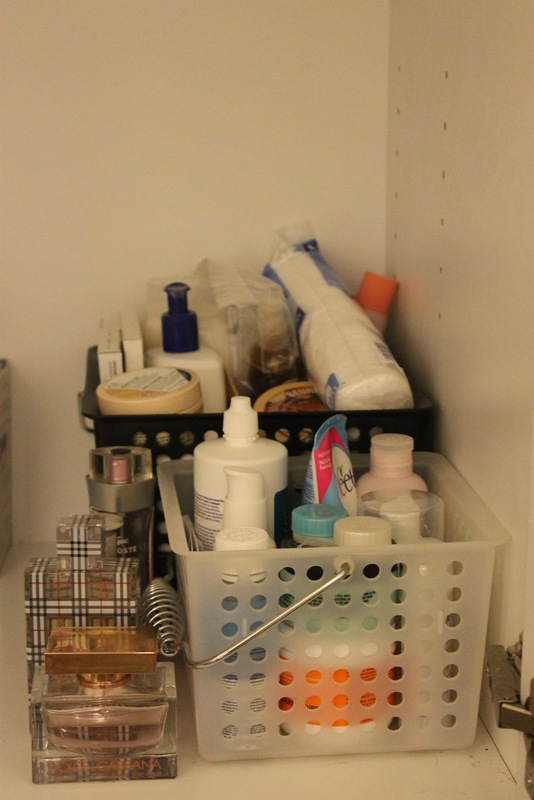 Do you find your bathroom cabinets hard to keep organized and tidy? Do you have an issue with collecting hair products (or any other products for that matter)? Tomorrow "Organize It!" will look at the front hall closet... with the cooler weather here, this closet needs some special attention to organize all the extra outerwear.